The Patriots had already placed three players on the NFL's Top 100 list: Malcolm Butler, Dont'a Hightower, and Julian Edelman. Now, tight end Rob Gronkowski has landed at #23. Gronk was effective when he was on the field last year, but he dropped 14 spots in the rankings (he was #9 two years ago) thanks largely to his injury issues. The big tight end's back problems resurfaced midway through the season, and he was only able to appear in eight games before being shut down for the season. Over those games, he recorded 25 catches for 540 yards and three scores. Interestingly enough, Gronk ranked higher on the list than some tight ends who played more games and recorded better stats than he did in 2016. Despite their more robust stat lines, Travis Kelce, Jordan Reed, Greg Olsen, and Delanie Walker all came in behind the Pats tight end. For Gronk it's a big sign of respect from his competitors--the list is voted on by NFL players--and a testament to his outsized impact on defenses when he's on the field. 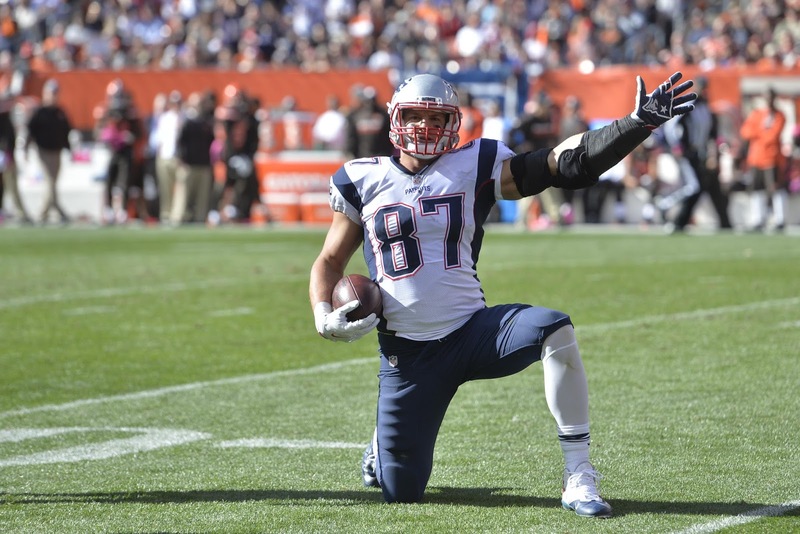 While there are plenty of good tight ends across the league, Gronk is truly in a class of his own at the top of the position.